BSI (Baker Spoerhase Investments) is a firm built on a foundation of client satisfaction and loyalty. These core values will always represent the strength of our company. BSI’s divisions guide clients from the beginning stages of site selection through negotiations, acquisition, and closing. We also assist in the oversight and management of clients’ investments. Here at BSI we are moving forward as we prepare for Alaska’s future. Our international experience and local knowledge enables us to deliver solutions for maximum performance on investments. - Mary Ann Pease, General Manager, Resource Energy, Inc.
BSI Commercial Real Estate provides solutions for specific needs in Site Selection, Acquisition, Sale and Leasing of Office, Industrial, Retail, Multifamily and Land transactions. A full service commercial real estate company able to guide clients from beginning stages of site selection through closing, including: Purchasing, Selling, Leasing, and Valuation of your real estate assets. Utilizing tactics through insight, knowledge, and innovative approaches all of which are oriented to meet client goals, we are passionate about client needs and enhancing the value of their assets. - Dean Pape, Director of Real Estate, Kendall Development Corp.
Larry Baker spent his career building businesses in Alaska and supplying jobs to Alaskans. He built a statewide company and was honored as being one of Alaska’s Top 49 companies for 13 consecutive years. The Alaskan of the Year Committee awarded Larry the Governor’s Award for outstanding community service. He has been involved as a board member in numerous civic organizations i.e., Rotary, Salvation Army, Police/Fire Retirement Board, Anchorage Convention and Visitors Bureau (Visit Anchorage), Boys and Girls Club, Boy Scouts of America, Anchorage Community Development Authority(ACDA), and the Anchorage Chamber of Commerce. He also served as a member of the Anchorage Assembly, and the Alaska State Legislature. Larry holds a Bachelor of Science in Business Administration from Linfield College and has been a member of Linfield’s Board of Trustees. Larry spends his free time with his family and attending community events. Life-long Alaskan, Brandon Spoerhase is a recipient of the Alaska Journal of Commerce TOP FORTY UNDER 40 award. He is the 2016 Vice President for the Certified Commercial Investment Member (CCIM) Alaska chapter, representing Alaska at CCIM national conferences. Previous to BSI, Brandon was the youngest broker to have worked for a commercial real estate firm that has been in Anchorage since 1953. Brandon left as a Top Producer and credits much of his success to the several years of mentorship after college by the late family friend Jeff Thon, the Senior Broker and Top Producer at Jack White Commercial for many years. 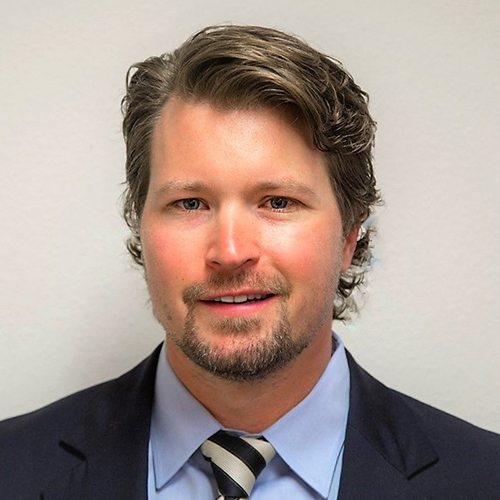 He continues to serve on and was the youngest commissioner in the history of the Municipality of Anchorage to be appointed to the Planning and Zoning Commission. He is involved within his community as a member of Rotary, Anchorage Chamber of Commerce, Commonwealth North, and the Petroleum Club of Anchorage. He was a presenter for the 2016 Building Owners and Management Association (BOMA) Commercial Real Estate forecast. On numerous occasions he has presented the state of the commercial market to the Board of Realtors and to the Anchorage Chamber of Commerce. He is a regular contributor to local news channels and business publications. Brandon holds a Bachelor of Science Degree in Business Administration from the University of Idaho. During his free time, he enjoys hockey, flying, hunting, fishing, skiing, golf, and other aspects of the great outdoors.